Tag Archives: The Grapeseed Co.
Seaside Makers Collective, photo by Kelsey Crews. Don’t miss the grand opening of the new Seaside Makers Funk Zone location on Thursday, Nov. 29. This is a great opportunity to support 15 of the best local artisans in one amazing spot—209 Anacapa St. The newly transformed space (formerly Youth Interactive, which moved to a new State Street location) is a curated collection of local art and gifts for bath, body & home, put together by Kristin Fraser of The Grapeseed Co. and Jules Kramer of Jules by the Sea. Other artisans at the collective include Asher Market, Sarka Photography, Jess Conti Leather Goods, Meadow Rose Photo Art, Blue Planet Eyewear, Whimsea, Mission Canyon Collective, and a beautiful collection of art by Karin Shelton, Pedro De La Cruz, Alana Clumeck, Katie Kramer, Anthony Barbaria and Kelly Clause. In addition, other artists, makers and pop-ups will rotate in and out, starting in December with some amazing one-of-a-kind handbags, jewelry and other special treats. Seaside Makers Collective opens 11.29 in the Funk Zone, courtesy photo. “This is a dream come true to land in the heart of the Funk Zone with this extremely talented group of makers and artists,” explains Jules Kramer, who will be managing the Santa Barbara store. “The collective will highlight and celebrate the amazing artisans in our community by offering much more than a great place to shop… we will tell the stories behind the makers, and also look forward to hosting Scent Bar parties, pop-ups, live-painting and workshops in our event room space and parking lot,” says Kristin Fraser. 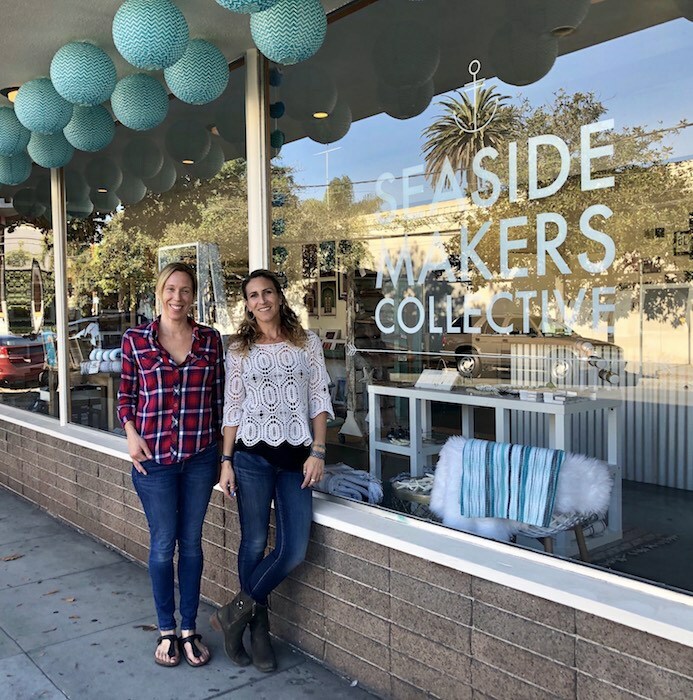 Fraser opened Seaside Makers flagship store in Carpinteria (961 Linden Ave.) in September 2018. Response from the community was so positive that she partnered with Kramer to open a second location in Santa Barbara. The shop will host a Grand Opening Celebration on Nov. 29 from 4-8 p.m. to give the community a chance to “meet the makers” in person. 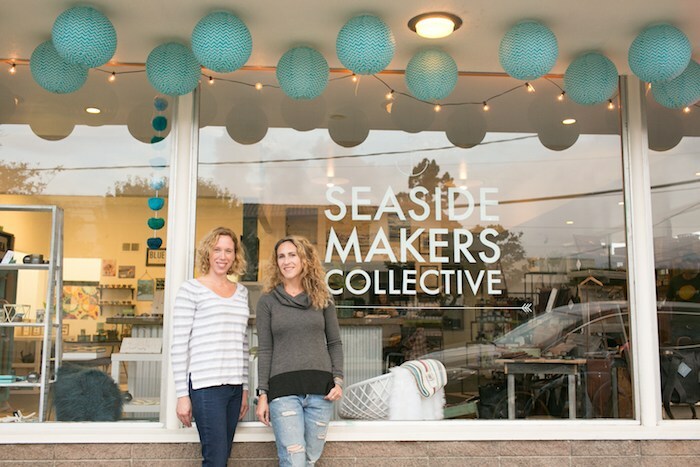 Seaside Makers Collective is located at 209 Anacapa St. in the Funk Zone, with parking available in its own lot. Originally published in Santa Barbara Seasons on November 28, 2018.